A New Graphic Novel – a Little Prince in the Land of the Mullahs. A global video conference was held by Iranian communities on Saturday, August 25, 2018, to commemorate the 30th anniversary of the massacre of 30,000 political prisoners in Iran upon Khomeini’s decree for the genocide in 1988. The conference connected 20 cities in France, Germany, Britain, the Netherlands, Sweden, Norway, Denmark, Finland, Switzerland, Italy, Austria, Romania and Canada. A number of political dignitaries attended and addressed the conference where members and representatives of Iranian communities in Europe and Canada participated and delivered speeches. A number of eyewitnesses to the massacre and former political prisoners also testified at this event. 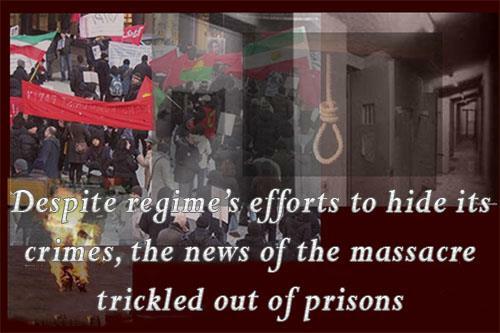 Thirty years have passed since the massacre of 30,000 political prisoners in Iran, but the mullahs could not conceal their blood-drenched epical resistance. 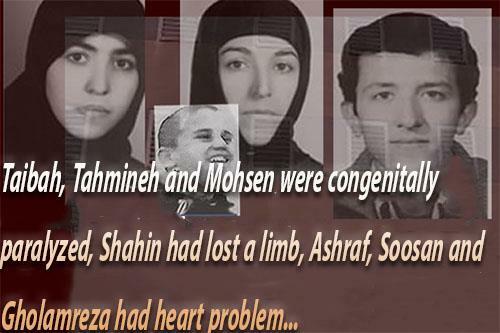 Neither could their international appeasers undermine this incident in favor of the Iranian regime. Today, those massacred heroes are not physically among us. The locations of their graves are not known and the list of their names is a secret. Speaking of their stories is forbidden and inquiring about their fate is a crime. Their song, however, continues to resonate in our hearts and minds. On the 30th anniversary of this unforgettable epic, let us rise and honor the memory of the 30,000 red roses of the Iranian Resistance by a minute-long applaud. 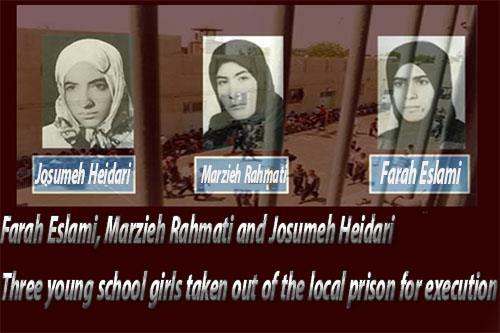 According to the information compiled and published by the People’s Mojahedin Organization of Iran in a book entitled, Crime Against Humanity, our sisters and brothers were executed in 110 Iranian cities in a matter of a few months in 1988. Now, those fameless towns have turned into hubs of uprisings, and those subdued cities have turned into hotbeds of revolt. Let us look at Gohardasht of Karaj as an example. Thirty years ago, the resistant political prisoners in this city were lined up in long queues and led to corridors where they were hanged from the gallows. Three weeks ago, however, Gohardasht of Karaj turned into a battle field where courageous youth and resistance units waged an uprising. In Shapour-e Jadid of Isfahan, in Shahinshahr, in Izeh, Dezful and Ahvaz, in Malayer, Baneh and Orumiyeh, in Zahedan and Bandar Abbas, and in Kazerun and Arak, people still remember the heroes who were hanged here and there from the gallows. They remember their cause and why they sacrificed their lives, and why they persevered in defending their principles to the end. The town of Aran in Kashan well remembers her child, Dr. Mansour Paydar, who used every opportunity to treat the poor and the destitute free of charge. 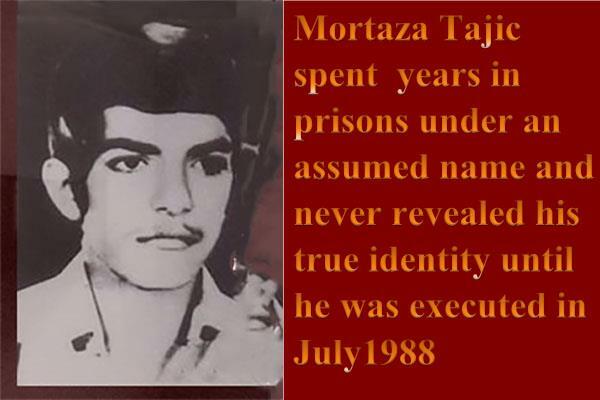 He was arrested on his way to join the National Liberation Army and was executed in 1988. Shiraz remembers Fatemeh Zare’ii, the PMOI’s candidate for the first parliamentary elections in Iran. 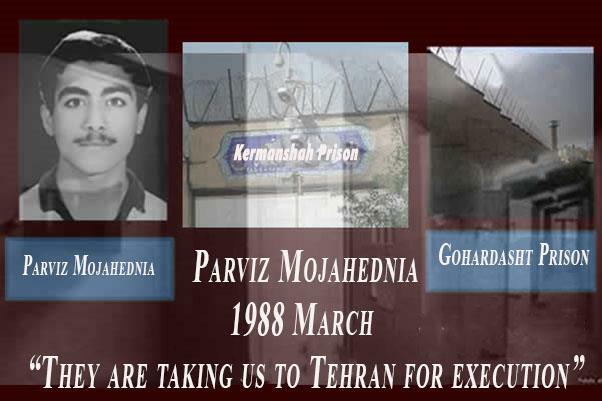 Mahidasht of Kermanshah remembers Daryoush Reza’ii who escaped the torture chambers of Dizelabad Prison, but was rearrested and executed in 1988 along with another PMOI prisoner from Ilam, Behzad Pour Nowrouz. 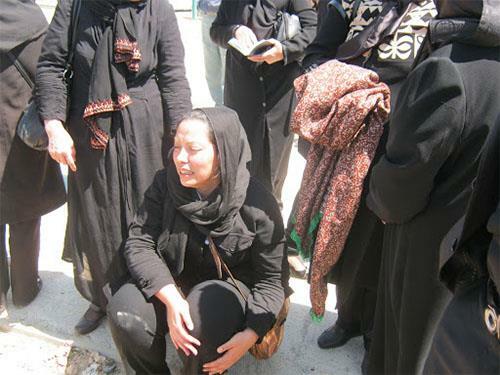 Isfahan remembers Fariba Omoumi. Astara remembers Mohammad Reza Saradar Rashti, and Rezvanshahr remembers Houriyeh Ramezani Nejad. Mahallat bears lots of memories from Parviz Salimi; Qom remembers Effat Assadi; Saveh remembers Azar Kowsari; Boroujerd remembers Jamshid Assadi, and Lahijan bears memories of Mohammad Sami’zadeh. 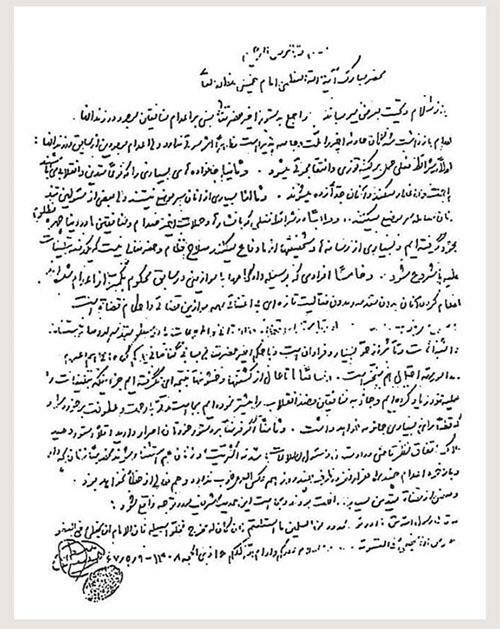 Khoy remembers Ashraf Mo’ezzi, and Naghadeh remembers Bahman Shakeri who was popular among both Kurdish and Turkish compatriots. And Masjid Soleiman is never going to forget Ali Salehi, as Izeh remembers Nahid Kaykavous Nejad forever. These names and memories have become eternal in the historic conscience of our society, lending a restless spirit of resistance and revolt to our cities and villages, inspiring the ultimate freedom of our homeland, Iran. 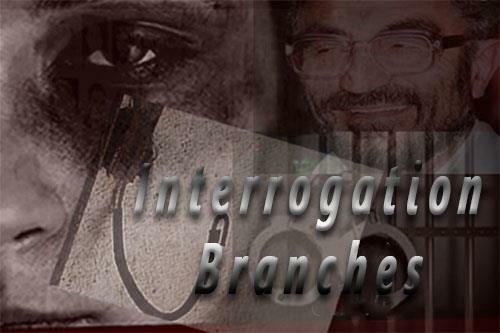 Former political prisoners have frequently told me that the brave PMOI prisoners chose Massoud Rajavi, the leader of the Iranian Resistance, in the most difficult and intolerable conditions when their choices and loyalty to their cause were being put to test. Those brave souls looked into the eyes of their torturers and interrogators and hailed Massoud Rajavi, or kissed the gallows in his name. Without doubt, they had a message by repeating this most forbidden name of our time. Their message to the generations succeeding them was: O’ you, the young men and women, who hear our unfinished stories, you should undertake the path and the cause of Massoud Rajavi! The path of struggle for a society devoid of oppression and exploitation, devoid of suppression and tyranny, and devoid of ignorance and deception. 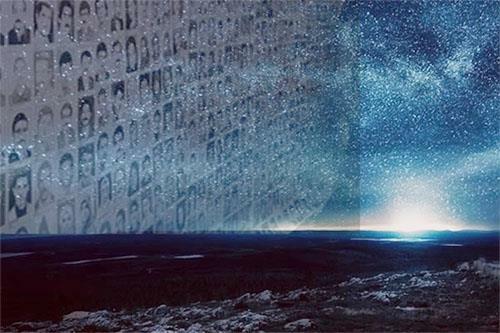 This path and this cause are translated into the sacred word of freedom. 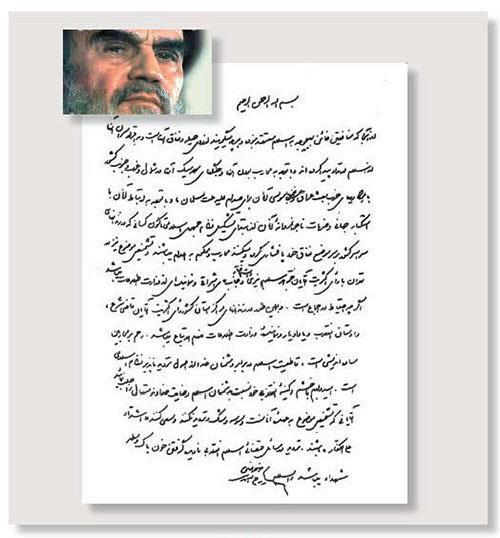 The question is, what was the position they persisted on and why did Khomeini ruthlessly sentence them to death? What was their crime? Their crime was standing up for freedom of the people of Iran, standing up against suppression of all freedoms, standing up against starvation of people, and standing up against destruction of Iran. They executed the prisoners for their beliefs. This is an incredible catastrophe but this is what the inhuman clerical regime is all about. Their reaction to dissent, even inside prisons under their own control, is mass executions. This is what the mullahs’ theocracy is all about. Any protest and any legitimate demonstration is repressed by detention and torture of participants. In the uprisings last December and January, what was the protesters’ demand and what did they do wrong to be tortured to death? The bodies of a number of them were handed over to their families, telling them that they had committed suicide while in detention. This is what the velayat-e faqih regime is about. It commits the crime and yet blames the victims of torture and massacre as culprits and criminals. In the face of such a monster, is it right to give in, or to stand up, resist and fight back? Where can you find a dictator that does not accuse the people’s just and legitimate resistance of terrorism, or who does not try to get rid of freedom lovers and opponents by accusing them of violence? Indeed, which dictator, tyrant or despot has given up on his crimes by silence and surrender of his victims? Those who dress down freedom fighters and dissidents for getting tortured or executed, and blame protesters and the oppressed people for getting suppressed, they echo the hypocrite mullahs. The 1988 massacre is a major demarcation between the people of Iran and their enemies, separating them into two opposing fronts. There are those who try to hush up the massacre, seeking not only to defend the masterminds and perpetrators of this crime, but to fend off the haunting specter of freedom, popular sovereignty and overthrow of the clerical tyranny. The so-called reformists, or the regime’s proponents who were totally rejected in the course of the recent uprisings, are still trying to find a way out for the velayat-e faqih but the massacre of 1988 has unraveled their schemes. The people of Iran ask them why did they conceal the massacre? What were they doing and what were their roles as this massacre was being carried out? And why are they silent, now? The truth is that the resistance of the massacred prisoners has posed a great challenge to the regime’s factions and their accomplices. At the same time, such steadfastness has been the dignified answer of the prisoners to the homicidal Khomeini who had left them with only two options: Surrender or die! They sacrificed their lives but sowed the seeds of rising and revolt. The clerical regime is beleaguered by the eight-month-long uprisings, by the growing role of the PMOI and resistance units in organizing and leading the revolts, and by the consequences of a plummeting and drowning economy. To break out of this deadlock, the mullahs sought to target the Resistance’s gathering in Paris on June 30 by a terrorist explosion. In March, they had tried another terrorist scheme against the Iranian Resistance in Albania. 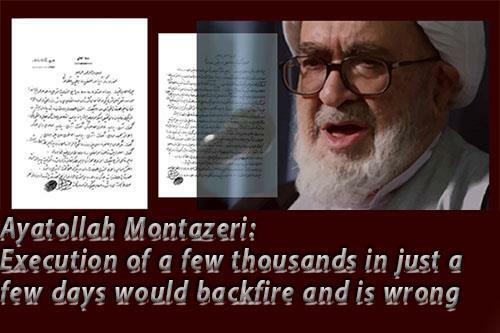 And just in recent days, the mullahs’ intelligence and terrorist activities against the PMOI in the U.S. were revealed after two of their agents in that country were arrested. These efforts and plots were foiled, of course, and the regime suffered their consequences. And once again, it became evident that the murderers of 30,000 political prisoners will stop at nothing to confront their alternative. It was also proven that terrorism is inherent to the clerical regime. There is hardly any place left in the world which has remained immune to the regime’s terrorism. Tajikistan, Afghanistan, Azerbaijan, the Arab countries, and even Europe and the U.S. This week too, the clerical regime’s cyber terrorism was also identified and banned. This is the system which engaged in large scale misinformation campaigns. The regime has been spending exorbitant sums of money from the Iranian people’s wealth to slander the Iranian Resistance and disseminate false information against it. The regime’s criminal network also seeks to disrupt safe communications and prepare the grounds for terrorist operations. This network must be shut down altogether. The mullahs were under the illusion that they could exterminate the resistance movement by massacring its political prisoners, by prolonged suppression, and by demonization campaigns but they failed in their efforts. In reality, the main predicament the mullahs have to deal with today is their democratic alternative. They have actually lost hope in finding a solution to the crucial problems they face. So, they just try to postpone the development which would ultimately lead Iran towards freedom. But this is an unlikely dream. The Iranian people’s incessant upheavals have left no place for the realization of such a fantasy. The uprisings are rooted in our people’s eager quest for freedom, democracy and equality. The participation of the representatives of Iranian communities from various countries in this conference is a vivid example of this reality. In this year’s annual gathering, I reiterated the vital importance of a viable democratic alternative as the pivotal force to advance the struggle for the overthrow of the regime. I explained that such an alternative requires, among others, an organization and a leadership; it needs to make sacrifice and pay the price; it needs to have clear demarcations with dictatorship, subordination and dependency; it also needs to have a clear platform for the establishment of a republic based on separation of religion and state, gender equality, and abolition of the death penalty. It also needs to wage an unrelenting campaign by selfless supporters of this Resistance to defend Iran’s freedom. Such campaigns used to defend Ashraf and Liberty, and today, they support the uprisings and the resistance units inside Iran. These campaigns are heartwarming for our compatriots and particularly the protesters who see that they have such informed and determined advocates all around the world. The organization of Iranian communities in different countries who defend freedom and democracy for Iran and enjoy political, diplomatic and social leverage is part of the wherewithal of the democratic alternative and part of the Iranian people’s assets for Iran’s freedom. Hail to all of you. For three decades, the international community has been silent over the massacre of political prisoners in Iran. As a result, the mullahs have continued with impunity to violate human rights in Iran, launch terrorist operations, and wage catastrophic wars in the Middle East and other countries. Now, the time has come to end this silence. The time has come for the United Nations Security Council to prepare for the prosecution of the regime’s leaders, and those in charge of this massacre, and officials responsible for four decades of crimes against humanity. The regime’s spies and mercenaries must be expelled from Western countries. All relations must be terminated with this regime which takes advantage of diplomatic resources to promote state-sponsored terrorism. The regime’s embassies must be shut down. The time has come for the world community to stand by the people of Iran in their uprising against the religious fascist regime ruling Iran and recognize their determination to achieve regime change and freedom. On the 30th anniversary of the heroes slain in 1988, I urge my fellow compatriots and particularly the courageous youth of Iran to do whatever in their power to expand the Call-for-Justice movement. This movement is part of the uprising for the overthrow of the mullahs’ religious dictatorship. The day is not far when the people of Iran will see the cause of their martyrs realized in the spring of freedom. Hail to the martyrs fallen for freedom. Hail to the people of Iran and God bless you all. 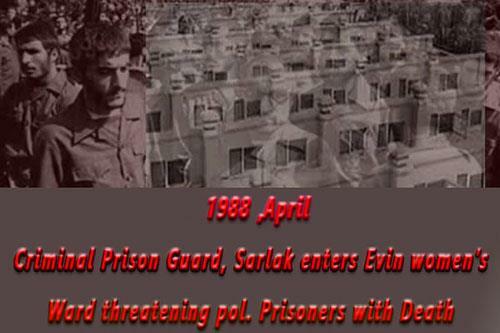 30 years ago, more than 30,000 political prisoners were executed in Iran’s prisons upon orders of Khomeini. Most of those directly responsible for the massacre are currently office holders within the regime and have not been held accountable for their crimes against humanity. A member of the Iran News Wire team put this tremendous video together through great efforts and after two weeks of gathering details. 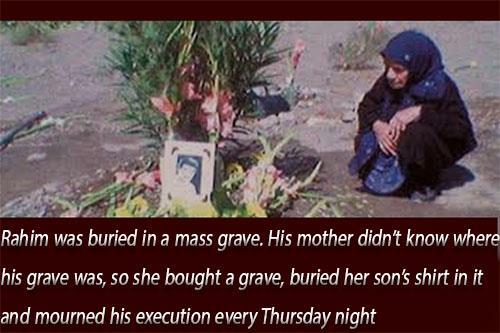 We think of the victim’s families who are securing and trying to save what is left to prove the #1988Massacre. 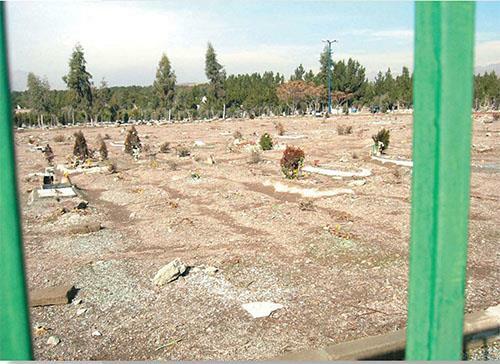 One recent event by Iran has been to conduct machinery work in exact locations of burials. US Ambassador to the United Nations Nikki Haley slammed the world body’s Human Rights Council on Sunday, saying it should be “ashamed” for inviting an Iranian minister, sanctioned for known human rights violations, to speak at the council’s annual meeting in Geneva this week. 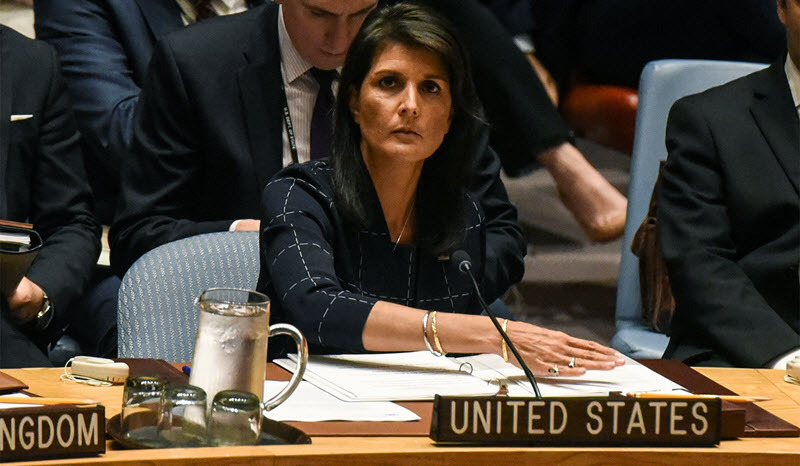 Haley said that the council was “discredited” by Iranian Justice Minister Alireza Avaie’s slated address to the body’s membership, adding that it only reinforces the United States’ criticisms of the UN and threats to defund the world body. “The Human Rights Council should be ashamed to allow Mr. Avaei to address its membership,” Haley said in a statement.“Yet again the Council discredits itself by allowing serial human rights abusers to hijack its work and make a mockery of its mandate to promote universal human rights. This does nothing but reinforce the United States’ call for much needed reforms at the Council for it to be viewed as a good investment of our time and money,” she said. Avaei’s appearance alongside some 100 other government ministers and dignitaries from around the world has drawn widespread criticism from both Iranian and international activists. Members of the Iranian opposition now living in exile say that Avaei also played a key role in the massacre of political prisoners in 1988, a year in which Amnesty International says some 5,000 prisoners were executed over the course of mere months. 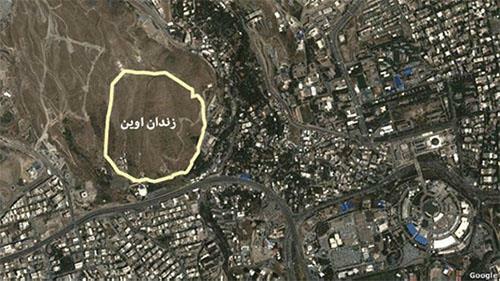 Iranian opposition groups put the figure closer to 30,000. “Allowing Avaie to address the Human Rights Council is disgraceful and would make a mockery of the United Nations and its human rights mechanisms,” Shahin Gobadi, a member of the National Council of Resistance of Iran, told AFP earlier this week. “This must not happen.”Avaei was sanctioned by the European Union in 2011 on the grounds that as Tehran’s top prosecutor he was “responsible for human rights violations, arbitrary arrests, denials of prisoners’ rights, and an increase in executions.” A protest is planned in front of the UN headquarters in Geneva next Tuesday, when Avaie is due to speak. Amb. Kenneth Blackwell on Iran Human Rights, Massacre of 30,000 Political Prisoners. December 6, 2017–During a House Foreign Affairs Committee hearing, Representative Tom Garrett of Virginia decried the atrocities committed by the current Iranian regime, whose creation he described as leading to “bloodshed on a scale not seen in that region for years.” Raising the recently released NCRI-US book, Iran: Where Mass Murderers Rule, Garrett spoke on the 1988 massacre of political prisoners ordered by Ruhollah Khomeini. He emphasized that any radicalization of a religion that promotes intolerance should be vehemently opposed not only by the United States, but internationally as well. Representative Garrett condemning radical Islam while holding Iran: Where Mass Murderers Rule. Iran: Where Mass Murderers Rule is the latest book released by the NCRI-US office. 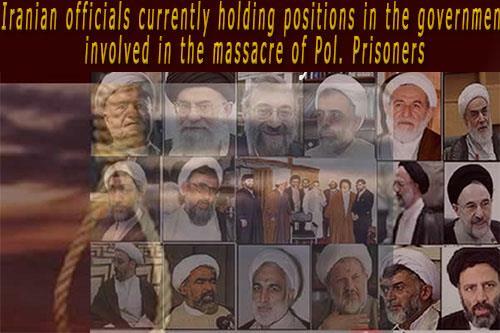 It focuses on the 1988 massacre during which in a matter of months the Iranian regime systematically executed 30,000 political prisoners, mainly members of the main opposition movement, the People’s Mojahedin (MEK). The perpetrators of that massacre are currently in key positions of power in Iran, including the Justice Minister in Hassan Rouhani’s cabinet. For more information regarding the 1988 massacre, please explore the NCRI-US website which is ncrius dot org.